Christmas is a dilemma for us all. 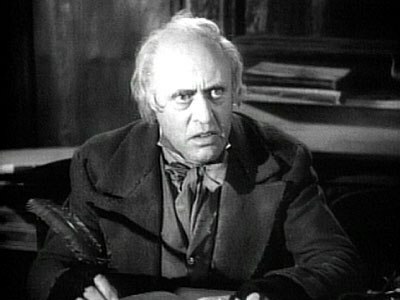 For years, Scrooge-like, I muttered and groaned about Christmas. I said that I’d like to abolish it completely. I refused to put up any decorations in my home. I sent as few cards as I could decently get away with. I never managed to escape Christmas entirely. But some Christians do. They simply ignore the Christmas season. They send no cards, accept no presents, sing no carols, eat no Christmas pudding. What are their reasons? Here are four to begin with. Firstly, they point out that Christmas is a pagan festival. We don’t really know what time of year the Lord Jesus was born. Long before the Lord Jesus was born in Bethlehem, heathen people held great midwinter feasts. Christians simply took over the old pagan feast and linked it with the Christmas story. Many of our Christmas traditions have their roots in those pagan festivities. The holly, the ivy, the Christmas tree, even the Santa Claus story – all these have parallels in heathenism. Secondly, they remind us that the Bible never tells us to celebrate the birthday of the Saviour. The Bible warns us against worshipping God in ways he has never commanded – putting our own traditions in place of his commands. Have we the right to invent a special Christian festival in honour of the incarnation? Thirdly, they argue that even if it were right for us to celebrate the birthday of Christ, the Christmas festival has been so degraded with worldly practices that it’s lost all meaning. The coming of the Son of God into the world is an awesome mystery, to be spoken of with holy fear and solemn joy. How can we celebrate that by pulling crackers, wearing silly hats and eating turkey? Unbelievers sing carols, send cards with pictures of the stable and the manger, and never give a thought to the Lord Jesus. Isn’t that a systematic taking of the Lord’s name in vain? And aren’t we condoning it if we celebrate Christmas with them? Aren’t we condoning all the gluttony and drunkenness? The immorality of the office party? Fourthly, they warn us that celebrating Christmas in the way others expect us to, has become a hugely expensive business. Food, drink, cards, presents.. people squander thousands of pounds celebrating that one day. Can we justify spending money on such luxuries, while half the world cries out for bread? While the work of mission struggles for lack of resources? While we lack a church building or the money to buy one? These are weighty reasons. Don’t reject them lightly. It may be that some of you, when you’ve thought about them will say “I can’t in all conscience celebrate Christmas”. All of us must give utmost respect to Christians who come to that brave conviction. And yet I do celebrate Christmas. Why? Here are some of my reasons. I find that God commanded his people in Old Testament times to keep great annual festivals: Passover, First Fruits, Tabernacles. On these occasions, they worshipped God and remembered his great mercies. But they also enjoyed themselves. Families and clans gathered together. They camped out. They ate and they drank. They sang and they rejoiced. The Feast of Tabernacles was the most exuberant of them all. It was held when the full harvest had been gathered and the hard slog of a year’s work was over. God knew what his people needed. He knew that they needed those times of rest and celebration built into the cycle of the year. Well, human beings haven’t changed. We have the same physical and emotional needs as people had three thousand years ago. If they needed such festival seasons then, we need them now. And the Israelites weren’t limited to the festivals God had actually commanded. In Esther chapter 9 (vs 18-25) we read how they decided to start a new annual festival to celebrate a great deliverance. Mordecai wrote to them “to observe the days as days of feasting and joy and giving presents of food to one another and gifts to the poor”. That sounds a lot like Christmas to me! And of all the events to mark in our calendar with rejoicing, could any be more appropriate than the birthday of the King of Kings? And since we don’t know the exact date, why not appoint an “official birthday”? So if I didn’t keep the Christmas we’ve got, I’d have to invent another one! And I’d be the only person keeping it! It seems simpler just to stay with the one we’ve got and try to use it as well as I can. Yes, I still struggle with all the worldliness and waste that have become associated with Christmas. I do wonder whether my godless friends can see the difference between my Christmas and theirs. That’s the challenge. Can I feast without gluttony? Can I make my home a place full of peace and quiet joy, in the midst of the world’s frantic Christmas activity? Can I honour the birthday of my Saviour as the Shepherds and the Wise Men honoured it? They rejoiced – but it was a holy rejoicing. Is mine? Christmas can, of course, bring great opportunities for personal witness. We send out cards to people we would otherwise forget. Hopefully, we include a leaflet, or a note, with a few words of testimony to God’s mercies through another year. We invite people to our carol services. But beyond that, our friends must see our happiness and know that it’s different from their frantic festivities. For one day each year, they try to forget the emptiness of life. We rejoice (with Gresham Machen) that “a new face has been put upon life by the blessed thing that God did when he offered up his only begotten Son”. That is the spirit in which I approach Christmas. Others may disagree. “One man considers one day more sacred than another; another man considers each day alike. Each one should be fully convinced in his own mind. He who regards one day as special, does so to the Lord..” (Romans 14:5-6). In any case, I trust that amid the world’s frantic preparations for Christmas, you’ll know peace and a quiet walk with God. And for those of you who do keep Christmas… I wish you a very happy one, and a blessed New Year.